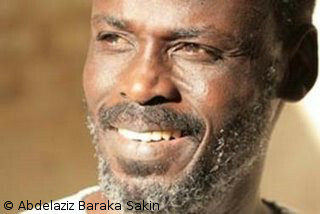 Fairplanet talks to Sudanese author Abdelaziz Baraka Sakin as violence increases in Southern Kordofan, and political oppression belies continuing tensions under regime responsible for 2003 genocide. “I could not forget my people in Darfur and write ‘love stories’ while millions of them are suffering and being killed." At 8am on Nov 2nd 2012, a large group of heavily armed men entered Sigili, a village not far from the capital of North Darfur. Armed with automatic weapons, they fired on the village’s inhabitants killing indiscriminately and wounding many others, while looting and burning shops and homes, and abducting young survivors. Human Rights Watch report that local descriptions of the gunmen fit those of the Popular Defense Force – a government employed militia who work alongside the mainstream Sudanese army, and belong to that category of north-east African fighter whose name still strikes fear into the hearts and minds of villagers ten years after the well documented atrocities of the 2003 Darfur genocide - the Janjaweed. It is exactly this kind of historic violence and human rights abuses that the Sudanese author Abdelaziz Baraka Sakin has attempted to highlight in his many works documenting life in the war torn country. Two weeks ago, Sakin’s books were seized by government officials, and the chances of his story being told came under threat from an ever more oppressive regime. As a resident of the Blue Nile region in which a recent conflict has sparked a refugee humanitarian disaster, Sakin has experienced at first hand the full force of government militias. Speaking to fairplanet, he recounted how “the situation is getting worse and worse” with “the government bombarding the villages in the Blue Nile, Darfur and Southern Kordofan, sending tanks and warriors to them, burning houses, destroying the poor infrastructure, and forcing ordinary people to move from their homes to camps or nearby cities”. Supporting Sakin’s account, a recent Youtube video uploaded by US based rights organization Satellite Sentinel Project, shows footage of Popular Defense Force soldiers with rifles in hand, frenziedly bullying and interrogating a terrified young man at gunpoint; the soldiers shout “God is Great!”, fire their rifles into the air in a breathless, muted jubilation, and wander remorselessly around the eerily lifeless village that they have just torched – its houses still ablaze in the frame behind them. “With these flames” a chilling voice is heard saying just off camera, “we extinguish the burning sedition in South Kordofan”. As yet, the Sudanese government has failed to condemn, or open an investigation into any these attacks. In the second of his books Messiah of Darfur, Sakin describes this kind of situation as it occurred in Darfur back in 2003, when the eyes of the world looked on as hundreds of thousands of ethnic refugees fled over the border into Chad, pursued by an unrelenting Janjaweed waging a murderous political policy of ethnic-cleansing. Ten years on and this shocking history, it seems, is about to repeat itself. “All my books” comments Sakin “are about marginalized people and the wars which have lasted in Sudan from 1955 until now; about homicide war crimes and crime against humanity undertaken by the government. ‘Khandarees’ even speaks about the hundreds of street children killed by the government - poisoned by methanol”. In Sakin’s own words, his works “do not cope with the official point of view”. And it is for this reason that Sakin – who is forced to publish his works in Egypt – had his books confiscated by Sudanese security officials at a book fair in Khartoum in late October. Despite the event being open to other books from across the world, Sakin’s were “delayed” for three days at the airport and then, after finally being released, were confiscated after only three hours of signing. Sakin was detained and threatened: the books remain confiscated. The consequences of this, and similar examples of recent media oppression in Sudan, stretch far beyond those of freedom of expression, or freedom of the press. The Sudanese government’s failure to investigate violent crimes purportedly committed by militias in its employ, suggests its complicity via its silence. But more than this, books that tell the story of the men and women who have witnessed the murderous violence of this regime, act as one of the strongest weapons in the fight against its genocidal oppression. As it appears that the humanitarian crisis of Darfur 2003 is about to reoccur in Southern Kordofan, it is only by telling these stories, both inside the country and out, that Sudan’s neighbours and the international community further afield can be made aware, asked to reflect, and readily prompted to act to say never again. >> SIGN THE FAIRPLANET-PETITION to call on the Sudanese government to stop the atrocities in South Kordofan! Sakin's books are available from Awraque Pubslihers in Egypt, and from Amazon. Story Sourced with help from Reem Abbass in Sudan.